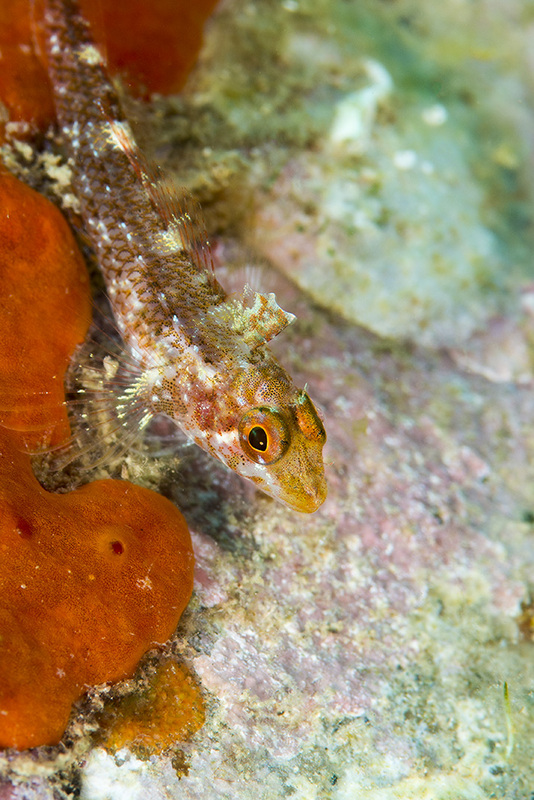 One of my greatest joys when diving is to find fish and other life in places where most people might not expect them. 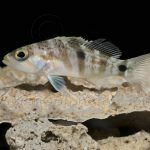 When we think of amazingly-colored marine life, we tend to the think of the tropics with the overwhelming numbers of butterflyfish, damsels, wrasse, and angels. 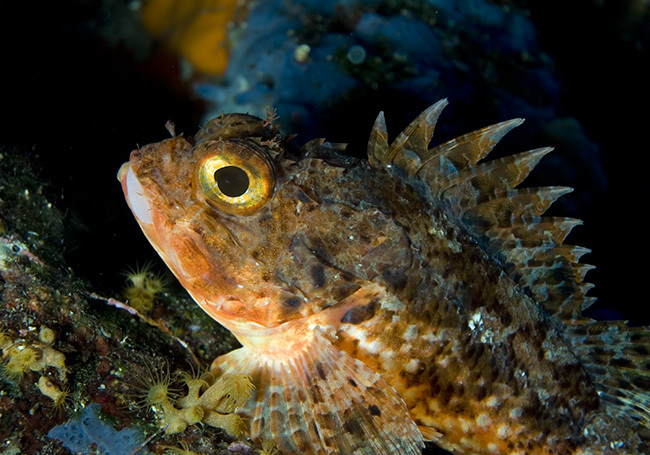 Every so often though, the temperate seas and oceans also reveal some amazing fish life. 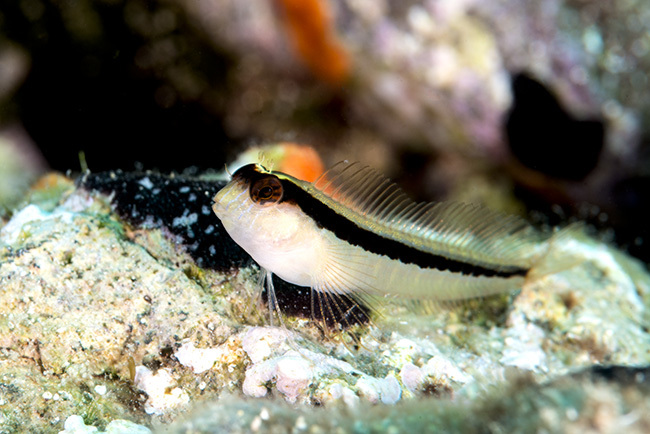 Black-faced Blenny. You can see the female to the rear, slightly out of focus. 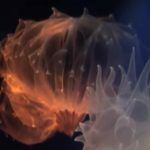 The Mediterranean has suffered at the hands of humans for quite some time now; we Europeans have taken an awful lot of fish, but there’s still a few gems to be seen. 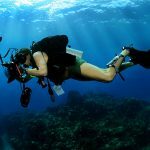 These pictures are from a few locations across the Med, from the islands of Greece to the waters off the coast of Mainland Spain. My first fish is a stunner. 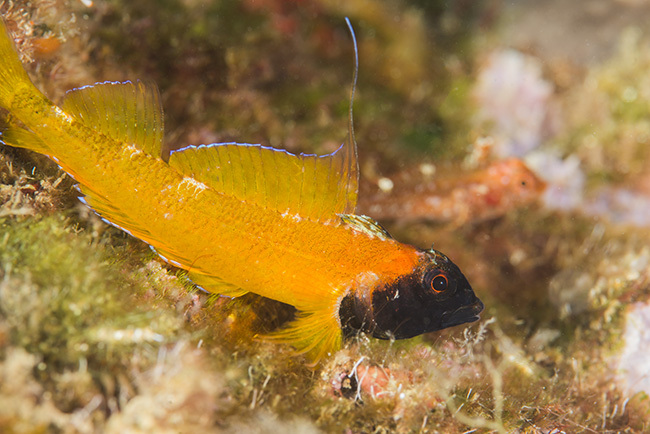 The male Tripterygion delaisi (the Black-faced Blenny) which is also referred to as T. xanthosoma (I must chick out my ID book as I think it predates some revisions) is a gorgeous fish and very colorful as befits his territorial manner, though when resting against a red sponge, it is hard to spot. The female is very different in coloration; far harder to spot and quite well-camouflaged. 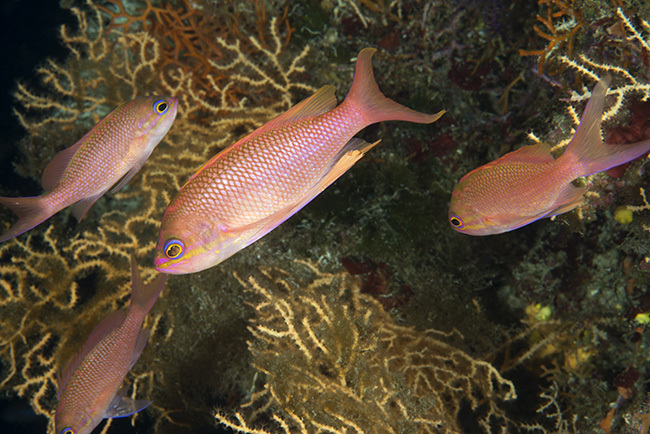 Closely related is Parablennius rouxi. Also about three inches long, this is a gorgeous fish with delicate markings around the mouth. 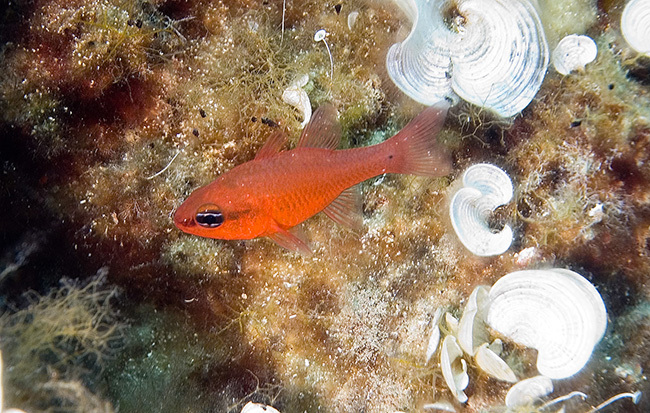 Deeper-water fish include the Cardinal (Apogon imberbis). I think this is the only member of the Family in the region. 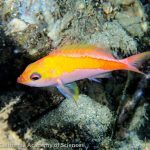 It is often found along with Anthias anthias, the type specimen that gives its name to the rest of the Anthiinae. 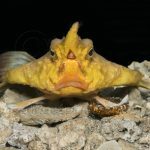 The temperate waters feature a few members of the Family Scorpaenidae including the utterly charming Scorpaena notata and the bad-tempered looking S. parcus. Finally, I offer you the only fish in this region that associates with anemones. 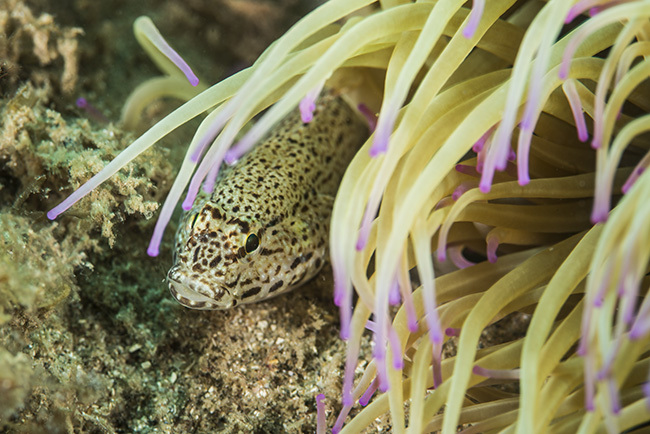 This is Gobius bucchichii, the aptly named Anemone Goby that is found in association with Snakelocks Anemones.